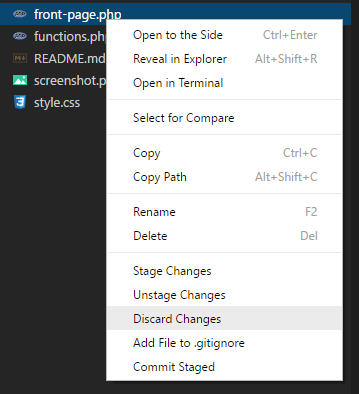 Visual Studio Code>Other>Rightclick GitNew to Visual Studio Code? Get it now. Stop having to go into the SCM tab for goodness sakes. I think that's pretty nifty though.